The Essential Studio 2017 Volume 3 offers controls for the various forms of Xamarin including the cross-platform Xamarin.Forms for targeting Android, iOS and UWP, along with Xamarin.Android and Xamarin.iOS. 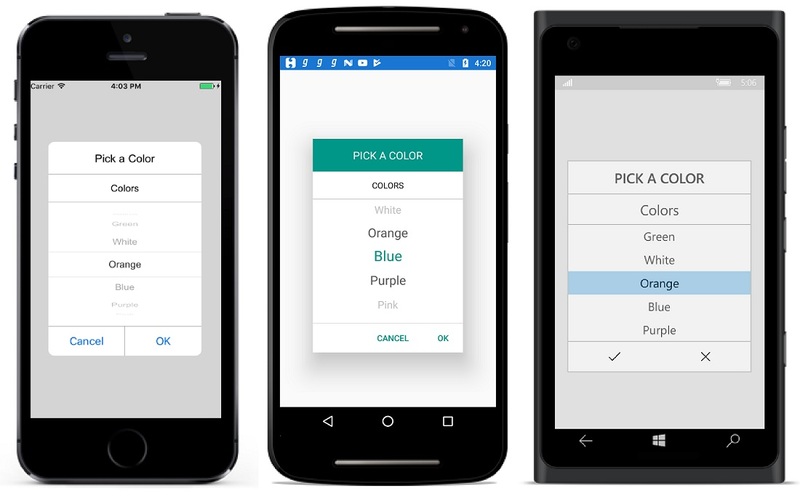 Those include a new picker and radial menu control for Xamarin.Forms, and new picker controls, data form controls and table summaries for data grid for the native versions. [Click on image for larger view.] 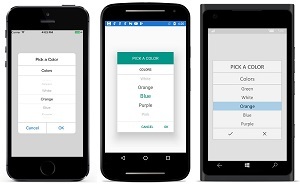 Xamarin.Forms Cross-Platform Picker Control (source: Syncfusion). A mix of platform-specific new menus, charts, data range pickers and many more controls and capabilities are also targeting ASP.NET Core, along with its ASP.NET MVC and ASP.NET Web Forms counterparts. "Xamarin is the best solution available today for cross-platform mobile development, and enterprise developers demand the flexibility only Xamarin can provide," said exec Daniel Jebaraj in a statement last week. 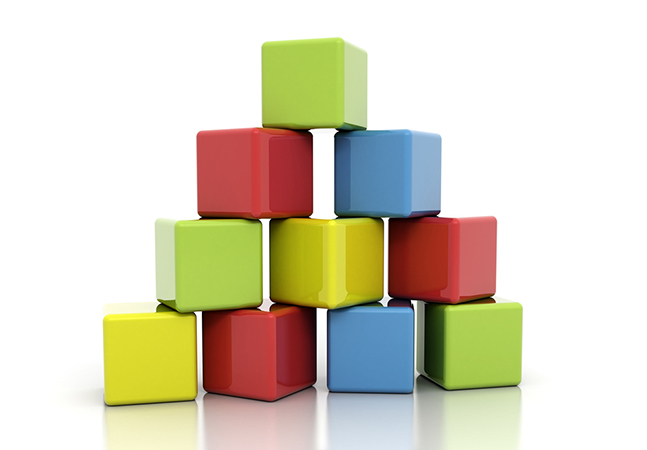 "That's why we've been committed to providing the best and largest set of components for Xamarin development. With Volume 3, Syncfusion continues to honor that commitment with new picker, radial menu, and data form controls for Xamarin, plus many new features and enhancements for our Web and desktop platforms." The company claims it offers more than 800 controls and frameworks consumed by more than 12,000 customers under a pricing scheme that allows for unlimited use on any number of machines for one single annual fee.